Make your soul SHINE at the Oz Paranormal & Spiritual Expo, on Saturday 9 September 2017. Walk the 'black carpet' to the special VIP entrance, be met by your designated VIP liaison whose sole job is to cater to your needs. Upon entry you will be laid with our exclusive lanyard so that everyone will know that to us you are royalty for the day. Peruse the stalls and book in to see a psychic before the general public have even entered the building. Exclusive access to a special VIP area, which will have an information desk with some nibblies and refreshments for you until stocks last. Take your priority seat in the theatre - the best seats in the house, to enjoy the awesome range of VIP speakers we have lined up, including Debbie Malone - well known Australian Medium, Brian J. Cano paranormal investigator from the USA who was a cast member on Haunted Collector, and has stared in many other American Paranormal TV Shows. Brian is a guest speaker all around the world, and one of the best paranormal investigators you can find! There will also be other speakers, and a 'paranormal panel' - your chance to hear about the experiences REAL paranormal investigators have had in the field. ​VIP tickets are limited and selling fast, so you don't want to miss out. There may be a limited number of individual workshop tickets available on the day, but book in advance to avoid disappointment. Debbie assists Australia-wide police departments with great success to solve murder investigations and missing persons. Her invaluable assistance with the police on both cold cases and active investigations have proved uncannily accurate. 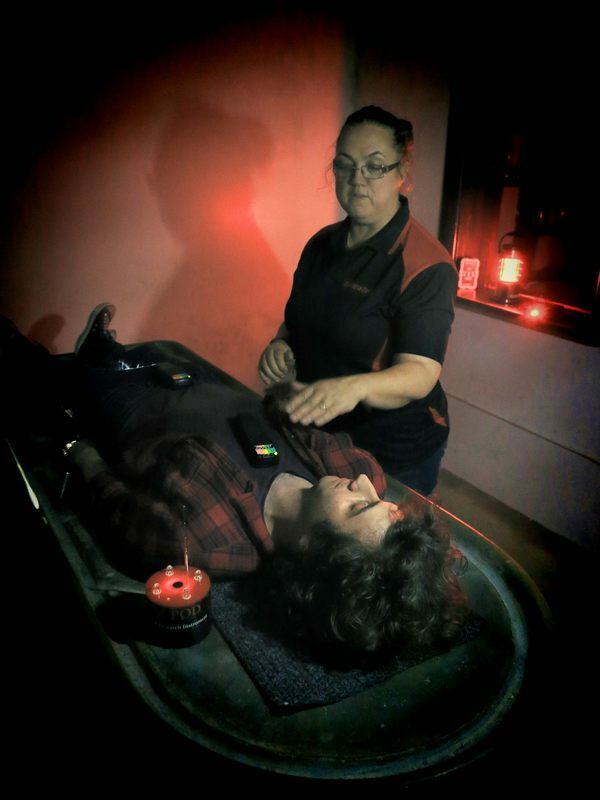 Debbie specialises in Paranormal Spirit Photography. With a world full of possible haunted locations, there are only a handful that have a reputation. What's it like walking the dark hallways of Waverly Hills Sanatorium in Kentucky? What happened when investigating the London Tombs in the UK? Is the pool area of the majestic Queen Mary as active as what people say? What did occur outside the barn in Prospect Place, Ohio? ​Come along to hear these and many more experiences from an avid Aussie traveler and paranormal investigator. ​With a world full of possible haunted locations, there are only a handful that have a reputation. 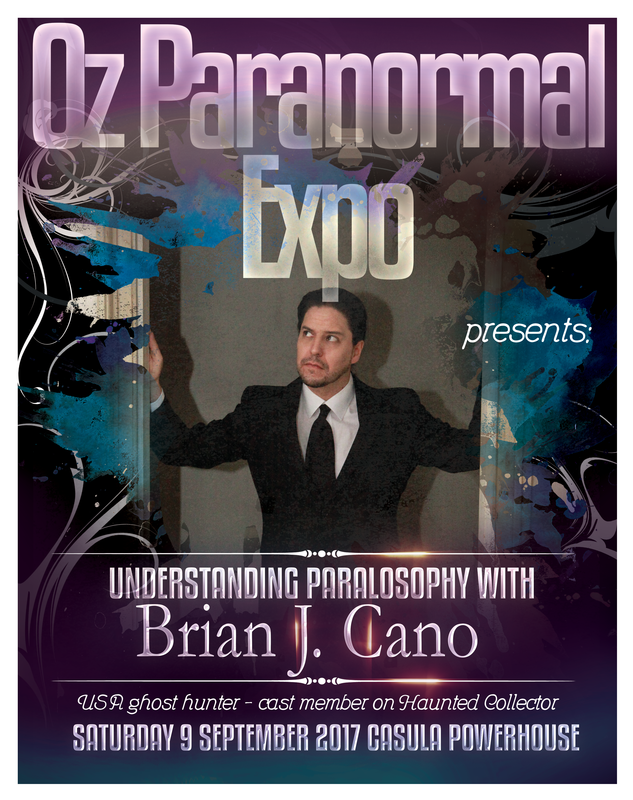 You’ll find a lot of experienced investigators at the Oz Paranormal & Spiritual Expo, but this unique panel offers a different perspective for the every day person – people who have been investigating for years, have experienced a LOT, and who aren't often given the chance to talk just about their experiences. Not the experiences of people who have been with them, just little things that have happened to them. Join our panelists for a legacy of ghost stories - theirs. 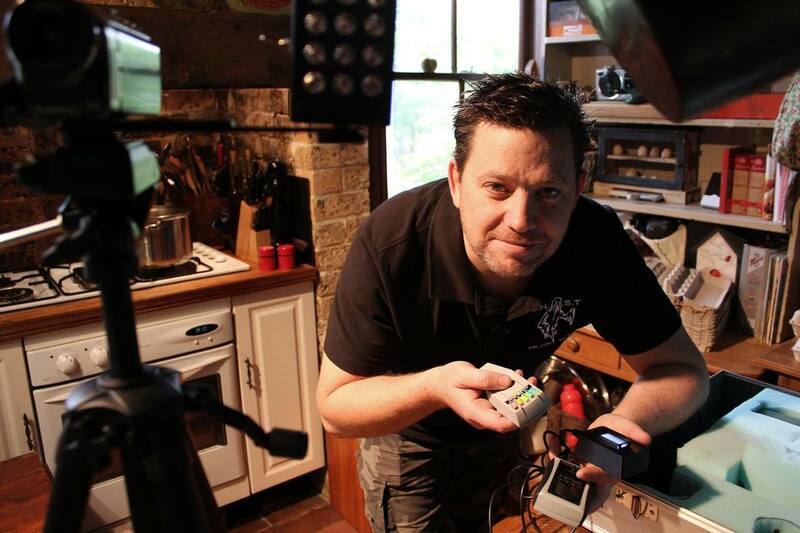 Peet is the owner of APPI, one of Sydney's leading Paranormal Event Organisers. Peet has investigated all over the world, but loves to explore her own backyard! As a teenager and adult she was always fascinated with the paranormal, and finally decided to take the plunge and explore this world. Peet is naturally logical, which can sometimes be interpreted as skeptical - not that there's anything wrong with a bit of skepticism in this industry! By day Peet is a policy officer/event manager for the NSW Government and a Justice of the Peace. She lives in 'the shire' with her partner, dog and cat. 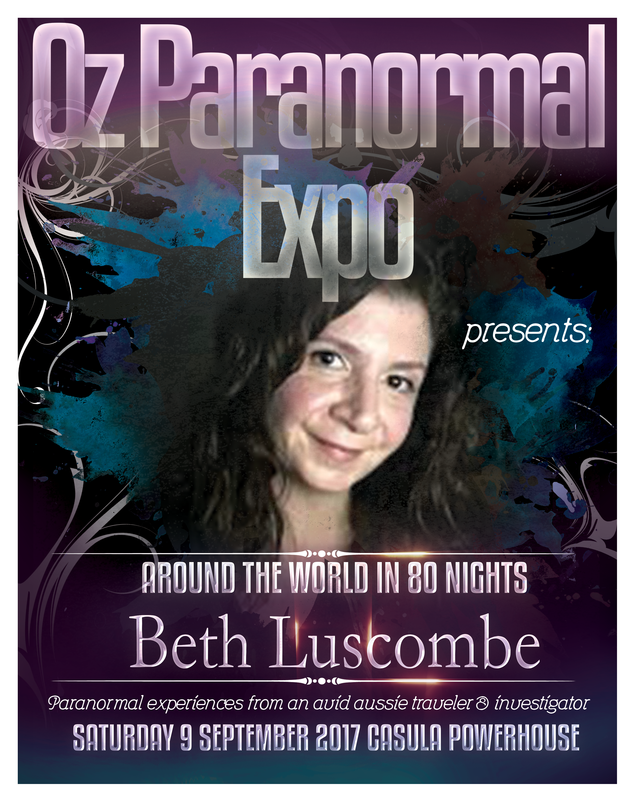 Peet is the Event Organiser of the Oz Paranormal and Spiritual Expo. "Since 2002, Brian has officially been a wanderer on a path of adventure and discovery. Having been inspired at an early age with shows like In Search Of… as well as the movie, Ghostbusters, Brian’s paranormal journey found direction with the cable-access-to-web show, SCARED! Evolving from the Skeptic to the Scientist under the SCARED! 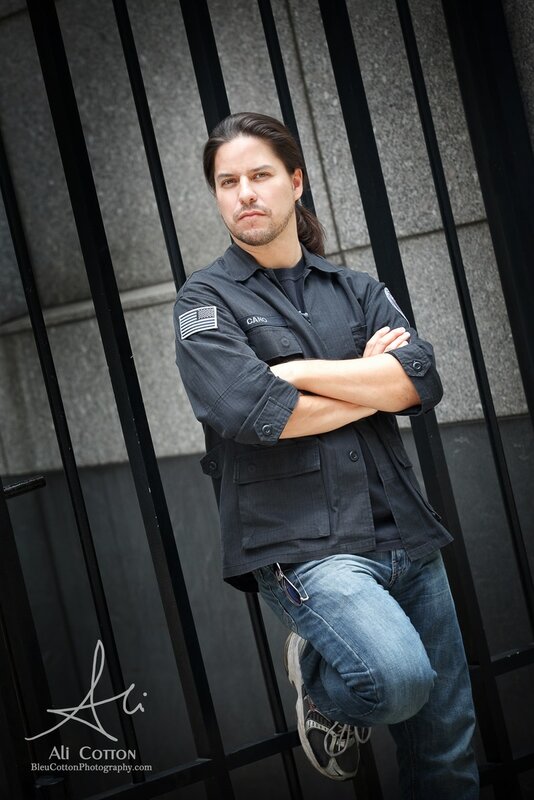 banner, those early dalliances in urban exploration led him into exploring the many possibilities that existing and emerging technologies offered for paranormal investigation. It was this focus that resulted in his inclusion on the Zaffis family-centered show, Haunted Collector, which ran for three seasons. On the show, Brian was the Tech Specialist, responsible for the implementation and use of all the gadgets and gear. Best known for mixing old and new techniques of investigating, he often found himself doing the physical tasks, such as crawling under houses and up into attics. He also served as second in command of the team and helped to manage the deployment of the crew itself. Recently, Brian has been touring the world appearing at paranormal events as well as lecturing at colleges. His successful, “The Method” event tour has helped attendees find focus and become better investigators. In his spare time, Brian co-created a paranormal card game called “The Three Pillars” which simulates an investigation and includes many figures in the field on the cards themselves. His work has been praised in several publications, including TAPS Paramagazine and Haunted Times Magazine. In 2016, he served as the Lead Global Investigator on the inaugural National Ghost Hunting Day’s “World’s Largest Ghost Hunt” where he led an experiment entitled, “The Bridge” to try and link the world in a web of active, collective consciousness. His latest focus has been on spreading “#Paralosophy”, a term he coined as a mash-up of paranormal and philosophy. “There are a lot of people out there doing the Work now and I’d like them to think more and do less. Really consider the whys before addressing the hows. Beth has been actively investigating the paranormal for 9 years. Starting her journey in 2007 while living in the UK she has had the opportunity to investigate some of the world’s most iconic locations. With training and development qualifications Beth is often speaking at local and international events due to her passionate about utilising science and psychology in investigations. She is an Independent Paranormal Investigator, Speaker and Paranormal journalist who also produces the successful "Access ParaCast" (podcast for Paranormal Investigators) and online school "Access Paranormal Investigator". ​Born into a haunted house, Alison’s life was full of questions until in 1989 she decided to find answers by researching the paranormal. 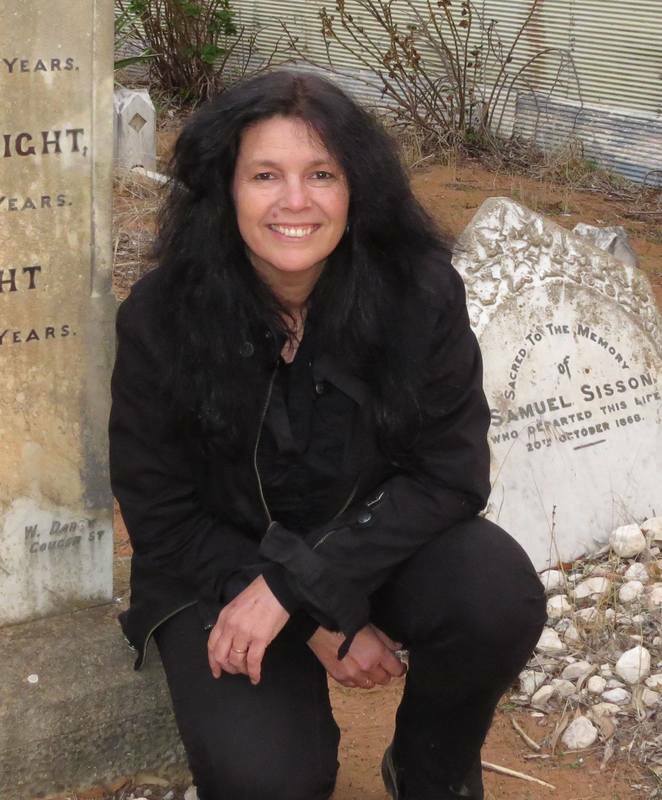 Setting up a team, Paranormal Field Investigators, Alison quickly became one of the head researchers at the Adelaide Gaol which led to the writing of her book “Ghosts of the Past” which showcases 10 years of paranormal experiences there. After years of researching and tour guiding, she combined her passion for history and her fascination for the paranormal and bravely set up her own business, Adelaide’s Haunted Horizons. H.H. quickly became the largest provider of ghost tours and dark history/crime tours in South Australia, culminating in being named 'Best Tour Operator in S.A.' two years running, in the State Tourism Awards. Anne has travelled to Ireland, England, New Zealand, America and throughout Australia studying and 'seeking' the paranormal. She has learned from some of the big names in the field, made lots of mistakes, learned from them and now helps her husband, Roman, run their Paranormal Equipment online store, OzParaTech. She doesn't consider herself to be an expert, but is always happy to share what she has learned along the way. Dan McMath has been fascinated with the haunting side of the paranormal for 30 years now after experiencing a strange occurrence with his family at the age of 14. After years of investigating cases of ghosts and hauntings, Dan is still a long way from satisfying his own curiosities in regards to what happened all those years ago, but it hasn't dampened his eagerness to search for answers. So the hunt continues. ​Dan also presented The Haunting Hours on Triple U FM last year and has plans to return for a brand new show in 2018. The Presentations will be held in a 326 seat traditional theatre, making it comfortable for everyone. Have a question for the Expo staff, in relation to the VIP Tickets? After purchasing your ticket, if you are unable to attend, a replacement delegate may be sent in your place at no extra charge. Notification must be made in writing and received prior to the event commencing. Paranormal Entertainment (abn 47 404 768 964) will endeavour to ensure that the VIP program is correct at the time of the event. Unfortunately we may need to alter the program prior to or during the event and reserve the right to do so without notice. We also reserve the right to postpone or cancel this event (when full refunds will be issued). Paranormal Entertainment is not responsible for any loss or damage as a result of a substitution, alteration, postponement or cancellation of an event. Eventbrite charges a $5.49 fee for each ticket. Please note it is possible that a selection of VIP tickets will be available for sale on the day of the Expo, at the cost of $115.00. You may be entitled at law or under the LPA Code to a refund where an event is cancelled, rescheduled or significantly relocated. To the extent permitted by law (including the Australian Consumer Law), neither Paranormal Entertainment nor the Presenter will reimburse you for auxiliary expenses (such as the cost of travel, car-parking, child-care and accommodation) or other consequential loss suffered by you in connection with your attendance or non-attendance at an event. Paranormal Entertainment recommends that you obtain ticket and/or travel insurance for those expenses. To the extent permitted by law (including the Australian Consumer Law), neither Paranormal Entertainment nor the Presenter are liable to refund to you any amount beyond the face value of the ticket plus any transaction fee.